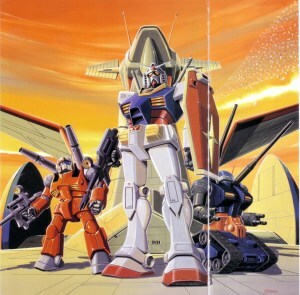 Although the mecha genre of anime was officially launched in 1963 with the release of Gigantor, the release of the anime series Mobile Suit Gundam (henceforth referred to as MSG) is widely considered to be one of the defining moments of the then-young genre. When it premiered in Japan in 1979, MSG split mecha anime into two distinct subcategories: Real robot and super robot, the first ever Gundam series being the former of the two. The world of Mobile Suit Gundam has always held a special place in my heart. I’ve long been a fan of the Gundam franchise, and have seen many of the series over the past 20 years. In celebration of its 35th anniversary, however, I wanted to do something special to commemorate my love for the franchise. I decided that re-watching the series in chronological order would be the most fitting way to celebrate, and thus I embarked upon Project Gundam. My goal for Project Gundam was to not only relive the joys of my childhood and teenage years, but to also completely understand the universe of Mobile Suit Gundam and the anime series and original video animations (OVAs) that follow in the footsteps of the giant mech. For this project, I decided to focus on the Universal Century (UC) timeline, the timeline that began it all. 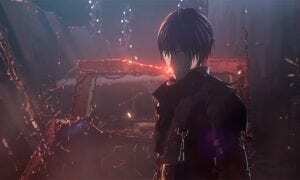 The Universal Century is not just a smattering of stories depicting different events in a calendar, but an intricate, interconnected space opera that takes place over many years and many series to form one of the most interesting independent properties animation has ever seen. Be forewarned, there are major spoilers for Mobile Suit Gundam below! 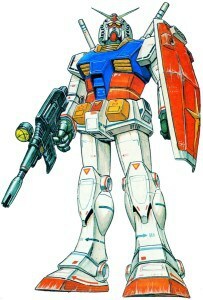 The Earth Federation’s Mobile Suit, known as Gundam. The year is UC 0079, and the Principality of Zeon, largely comprised of the residents of space colony Side 3, goes to war with the Earth Federation. Dubbed the One Year War, it is a year of atrocities and bloodshed. The Zeon executes Operation British, a plan to drop a depopulated colony on the main Earth Federation base in Jaburo, South America. The plan backfires, however, when an unexpected explosion causes the colony to impact Sydney, Australia, wiping out millions of innocent civilians. This action would set the tone for the rest of the One Year War, and cause any legitimate arguments by Zeonic politicians and figureheads to fall upon deaf ears. Zeon would become known as nothing more than a ragtag group of zealots. 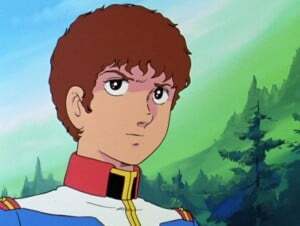 The most well-known story from the UC timeline, and the plot of Mobile Suit Gundam, is that of Amuro Ray, accidental teenage pilot of the Gundam. The Gundam is a powerful new robot called a Mobile Suit. It is designed for the Earth Federation Forces to help fight back against the Principality of Zeon and its Mobile Suit forces. After Amuro fends off a Zaku Mobile Suit attack, the federation warship White Base escapes from Side 7 with a large number of civilian and three Mobile Suits aboard, the Gundam, Guntank, and Guncannon. Led by the insatiable commander Char Aznable, known as the Red Comet on the battlefield, a contingent of Zeon give chase to the White Base with the intent of either capturing or destroying the Gundam. War – HUH! What is it Good For? Amuro Ray, pilot of the Gundam. From the onset of the series, creator Yoshiyuki Tomino uses the experiences and battles of the characters of MSG to tell a very specific tale. MSG is a story about war – both the tragedies associated with it and its effects on both civilians and enlisted alike. The Mobile Suits become almost secondarily important and are often vehicles for the change in a character’s demeanor. For example, throughout the series we see Amuro’s mental state break down and rebuild itself. He goes from a headstrong, invincible young student to a shivering mess as killing Mobile Suit pilots takes its toll on his subconscious. At first you want to slap Amuro and tell him to snap out of it, which is actually the initial reaction of White Base commander Bright Noa. However, after considering how Amuro was thrust into his position as the pilot of the Gundam not by choice but by necessity, the crew of the White Base becomes more understa nding of his breakdown and steps up their fight with the other Mobile Suits on the White Base. This allows Amuro to recover his mind and, as a result, some of his humanity as he comes to terms with what he must do, regardless of what he wants to do. Zeon’s Char Aznable, known on the battlefield as the Red Comet. Another character, Sayla Mass, endures a different sort of trial caused by war. As MSG progresses, Sayla slowly comes to realize that the Red Comet is, in fact, her long lost brother. Char is not just a brilliant commander and excellent Mobile Suit pilot, but on a mission to make the members of Zeon’s ruling party, the Zabi family, pay for taking control of Zeon. Char reveals to Sayla that leader Degwin Zabi stole the throne from a young Char and Sayla when their father mysteriously died after making Zabi the heir to Zeon. Time and again, Sayla begs Char not to continue down the path of revenge and to rejoin her life, but Char is set in his mission no matter the cost. Indeed, Char engineers many events in MSG that lead to the death of one Zabi family member or another. After learning of this plot, it becomes clear to the viewer that war not only divides families, but instills a desire for revenge in some that is stronger than the ties of family bonds could ever hope to be. Both Amuro’s mental breakdown and Sayla’s plight are powerful messages about how detrimental war is to both individuals and families. The most interesting part of Mobile Suit Gundam is that theirs are just two of many story arcs. There are deaths, both meaningful and meaningless, that take their tolls on the White Base crew, as well as the constant threat of enemy attack which runs the crew and civilians ragged. It’s easy to see why Mobile Suit Gundam eventually gained a cult following, though its initial ratings were low. As a social commentary on war, it is very good. Regarding the real robot feel, the Mobile Suits and their weaponry seem realistic. Some features of the Gundam include a learning computer, magnetic coatings that increase its response speed, and a heatproof shield that counters the heat from atmospheric reentry. 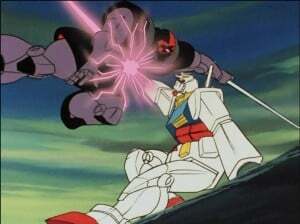 Gundam destroys a Dom, a Zeon Mobile Suit, in battle. A majority of Mobile Suits and military weaponry use standard powder-based ballistic weapons. The exception to this is a smattering of beam weaponry, such as beam sabers, beam rifles, and beam cannons like those on the White Base. A realistic approach is taken with these, though, as they often run out of energy during battle and must be discarded. There are also some interesting transforming Mobile Suit concepts that arrive about halfway through the series as well. The Gundam and its counterpart Core Fighter is able to be launched from the White Base catapult in several configurations that can help turn the tide of battle under certain circumstances. This concept of transforming Mobile Suits probably served as some sort of inspiration for the Transformers and Voltron anime series, which both debuted in the mid-1980s. The only thing that sort of steps aside from the real robot genre is the addition of Newtypes about three quarters of the way through the series. It is revealed that Amuro is an emerging Newtype, someone whose mind has heightened mental ability and awareness. This is, of course, why he is able to pilot the Gundam with no military training. The upside of Newtypes is that they’re a very interesting idea to bring to the table in the Gundam universe. Being a Newtype means that regular soldiers, even highly experienced ones, cannot put up as much of a fight against a Newtype Mobile Suit pilot. The downside is that Newtypes were never fully fleshed out in MSG, as it was originally set to be a 53-episode series, but was cancelled early. As a result, Newtypes sort of feel like magical Spacenoid until later series are released that explain how a Newtype functions and sets the scope of their battle ability. Gundam, Guncannon, and Guntank atop the White Base. The series does feel quite dated by today’s animation standards, and there are a lot of reused cuts in battles and during the transformation sequences of the Gundam and Core Fighter. These were commonplace during that era of animation, though, and are excusable. Overall, Mobile Suit Gundam is an enjoyable series, and quite the detailed introduction to the Universal Century. MSG was later recut and released as three movies, condensing some of the reused scenes and streamlining the story arcs, which may be a better choice to watch if you don’t have time to watch all 43 episodes of this series. If you’ve never sat down to seriously watch a series in the Mobile Suit Gundam franchise’s Universal Century timeline, this is probably not where you should start. MSG is absolutely a must-watch for fans of the Gundam franchise, so don’t pass it up. However, although it does give you quite a bit of back story in the UC timeline, there is a better place for beginners to jump into the Mobile Suit Gundam franchise that will take far less time to watch and be much more easy to understand. That, however, will be revealed in Project Gundam – Part 2!